Today, I am very happy to host a person who is very close to my heart. Aparna George is a blogger whom I met online back in 2011. At the time, I was hunting for schools for Gy and Aparna immediately offered all assistance possible. She is the first person with whom I made an electric connection online. Aparna’s warmth and smile shine through everything that she does, be it writing her blog, Life as a Mom, her passions which are terrace gardening and environmental awareness or her lending a willing shoulder for me to pour my heart out. Please welcome Aparna, who will tell you more about herself in her bio below. Thank you, Aparna, for agreeing to write this post for my blog. 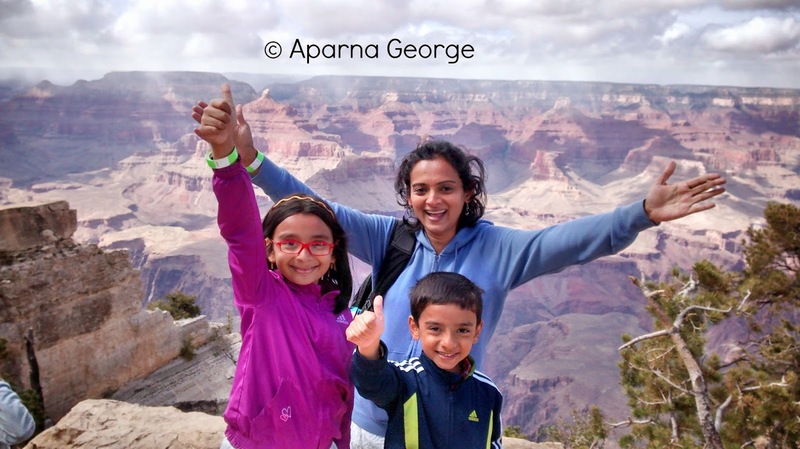 Aparna George is a stay-at-home-mom who was a techie until 2005 when her daughter was born. She is now a freelance writer in the content and social media space. She is also an ardent kitchen gardener who is passionate about everything organic, and hopes to bring her terrace garden to self-sufficiency by the end of 2015. She blogs on parenting, gardening, environmental awareness and Child Sexual Abuse Awareness over at Life as a Mom. A vivid memory that comes to mind of being judgmental in my pre-parent days, was when I traveled on a flight to Germany in my early twenties. As it is with most plane journeys, there were a couple of very young children on the plane, and one of them kept that entire section awake with some loud crying. The thought running through my mind was, “Oh my God! Can’t those parents DO something?!”. Most of us who are parents would be familiar with the 2nd part of this story. Fast-forward about 6 years when I was on my first plane journey with a nearly-one-year old. Probably due to some ear discomfort, she was cranky and LOUD through a lot of the ride. I tried pacifying her, giving her something to drink to make her ears pop, in short everything I could think of. It did not make any difference whatsoever. What happened next? I tuned out any irritated faces around me, and forgot to feel embarrassed anymore. This instance always comes to mind anytime I feel like I’m close to sitting in judgment, and is a reminder to stop myself. I feel that as parents, we need to be extra careful when we’re about to make a snap judgment or remark about anyone that we might see, even a stranger. It gives our children the impression that it’s okay to sit on a pedestal and remark on their peers, which is a terrible understanding to carry forward in life! Physical appearance: The first time we saw someone who might have looked physically different for whatever reason – differently- abled, differently-coloured and so on – I remember telling my children to stop asking loud questions and that I would explain later when at home. I told them in short that the world is made up of all kinds of people, and it is never okay to point or make a remark about someone. If you want to share something, wait until later or do it at low volume, and even then it should never be anything hurtful. I think this also goes a long way to reassure children about their own physical appearance, and to not make a big deal out of it. Other children when in public: I am guilty of making the occasional judgmental remark especially when I see children who are unrestrained to the level of hurting someone by their behavior. But in most cases, I manage to remind myself of the many similar situations each of us goes through as a parent. And this means, always giving the other person the benefit of doubt as we have no idea what they might be going through in life, and why a certain child or parent behaves in a particular way. The famous SAHM/Working Mom argument: This is one area where everyone loves to have a view! I have one too and it’s “to each their own” ! I believe any parent, unless mentally imbalanced*, does the best he/she can under the circumstances. *Note: When I say mentally imbalanced, I am not name-calling but talking about the unfortunate many who need psychological help and counseling but nobody recognizes this issue until it’s too late. There is still a lot of stigma associated with mental illness in our country, which is a pity as there are many experienced counselors and doctors available. So much insight in this post. As parents it is so important to teach our children not to get judgmental about appearances and situations. And more important, practice what we preach. Thanks for sharing these simple yet important principles Aparna. Being non judgemental is a brilliant lesson you are teaching your kids. I see many parents struggle with their little ones on trains and buses. And I really feel for them. It's a tough task. This is a beautiful article Aparna. So many takeways from your post. Thanks Shailaja for sharing it. 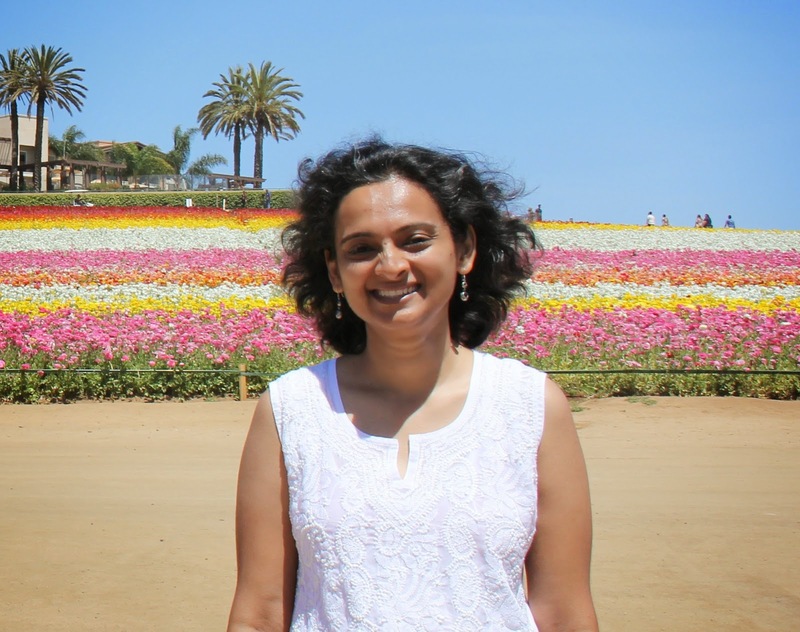 Thanks so much for hosting me Shailaja, and for making me think more deeply about a subject that's been on my mind in order to come up with a decent post ;). Thanks for your kind words Vinodini! Yes absolutely Priya, I don't think I've analyzed my actions so much as I have since becoming a parent :). Thanks for your kind words! Beautiful, Aparna..As always, you have shown your pragmatic, caring and gentle self in your parenting style..much as I already know and expect of someone like you 🙂 Great post! Very true, Vinodini. And these challenges will keep emerging. With each stage there are new opportunities to judge. It depends on how we tackle it effectively enough to nip it in the bud. Thank you for reading and sharing, Rajlakshmi! How much we can learn from them is as important as what we can teach them. Insightful. Felt nice and probably need to introspect. I appreciate every word of this post. .especially the last lines where she explains the meaning of mentally imbalanced parents. So often we ignore this issue. Parents themselves are not aware of it.. I have always to write abt this but never able to. That's a nice post and some great takeaways from it. Thanks Aparna for sharing your views. Thanks Shailaja for hosting this! Well judging is a very in-built default trait in all of us I think.. We rush to judge things without really getting all the information and then we end up eating our rushed verdict.. As the bible says “Do not judge, or you too will be judged” (Matthew 7:1) and no I am not very well versed with Bible. Only certain things that remains stuck with me. Very very good pointers…. Often we judge others so easily, but fail to judge ourselves. And especially when everyone has his or her own struggles to live life ! Absolutely right Beloo Mehra, children mirror our actions and words so much that the best way to teach them is by example :). Thanks for dropping in and for your kind words. *Blush* Uma, you know pretty well how much I have struggled with some aspects of parenting :). Thanks for being so sweet! Thanks Bal Tendu, sometimes I wonder if we as a generation of parents introspect too much :). But it helps us form our own style, as we cannot continue in the same vein that we were brought up in, with the world changing so fast around us. Thanks so much for noticing that Ananya Tales. Thanks so much for the appreciation Kajal! Yes judging is so much a part of our personality isn't it? Very well said, Pheno Menon. Thanks so much Shilpa 🙂 ! very right .. I am sure every parents does their best .. you know thankfully I have learnt in my job now to be judgemental.. I remember we had a 8 or 9 full days on joining course on this particular topic, and diversity .. as we cant afford to do any at my work. meeting so many people every day of different types ..
we are so quick to be judgemental that we forget to realise what the other person is going through .. I know sometime people ridicule me when I say something like this to friends who wrok in different environment .. but it is the truth. I have learnt a lotttttt in the years of work.. and now when i cant sleep on the plane because of a kid shrieking I dont get upset , I put my headphones a bit more louder ..